A well-acted, slow burning indie, The Fixer uses thriller mechanisms to examine insular, tribal cultures through the eyes of an outsider. The slow-burning indie thriller The Fixer opens on a woman speaking intense Polish, while a naked man strapped to a wheel rolls slowly away behind her. As the camera rises, we realize that this is a play being performed for a tiny audience in a small-town theatre – most of them obviously perplexed by what’s happening in front of them. Then the camera hones in on the face of Osman (Dominic Rains), his face gradually splitting into an ecstatic, fascinated grin. Such is the tone of The Fixer, a movie that uses a thriller’s mechanisms to examine American culture and society through the eyes of an outsider. Osman is an Afghani journalist who used to work as a “fixer” for Western journalists, guiding them through the complex society of Afghanistan in pursuit of their stories. Now he’s immigrated to a small Californian town with the help of his friend Gabe, where he stays with Gabe’s mother Gloria (Melissa Leo), also the local sheriff. Saddled with a fifty-dollar a week job writing up the police blotter for the local paper, Osman goes out searching for some corollary to the world that he’s left far behind. He makes friends with actress Sandra (Rachel Brosnahan) and her boyfriend (Tim Kniffin), and then falls in with the eccentric and dangerous Lindsay (James Franco), who takes him up into the hills to show him the weird underbelly of the town. Through Lindsay, Osman falls into a world of family feuds, unpaid debts, and a strange culture that an outsider can only partially understand. The Fixer focalizes its narrative through the sometimes confused eyes of Osman – a man accustomed to danger, he has a journalist’s desire for the truth and a deep-seated need to understand the world around him. While many Western films focus on the alien nature of the Middle East seen through white eyes, The Fixer turns the camera around on American society, developing an underground world every bit as tribal and complex as anything that happens in the mountains of Afghanistan. Osman is used to being a fixer, but now his role has changed – he needs others to do his fixing for him, using the guidance of Lindsay, Gloria, and Sandra as the touchstones for his experience. He digs ever deeper into the small town life, uncovering more, complex layers that do not permit for easy answers. And just as Osman delves into the complicated world of small town culture in America, with all its eccentricities and unwritten rules, so the viewer comes to see a different, more raw America than the one typically presented in Hollywood cinema. The Fixer is a small and well-acted film – while James Franco might be the biggest name, he’s almost unrecognizable as Lindsay, the likable but obviously dangerous entry point for Osman. Melissa Leo likewise shines as Gloria, hovering between loving care and an intimate understanding of the intricacies of life in her small town. 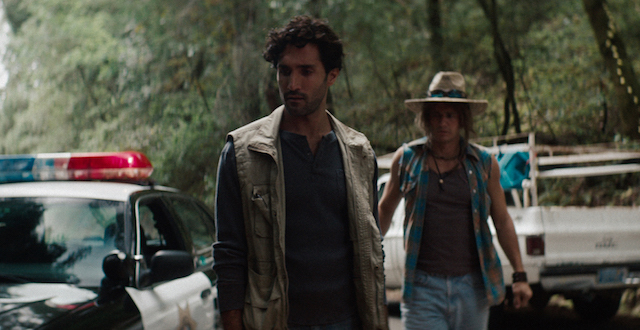 But the film really belongs to Dominic Rains, who imbues Osman with a combination of naiveté and hard-won knowledge. At first it seems that what Osman craves danger, but soon becomes clear that what he really wants is experience – to understand the town culture with the same closeness as his homeland, and with the same attention to detail. His pursuit is intellectual and emotional, not simply a drive for adrenaline. Intercut with the American scenes are Osman’s conversations with Gabe in Afghanistan, explicitly drawing the parallel between the two experiences. The occasionally meandering nature of The Fixer can get a bit wearing, and the central mystery around which Osman constructs his journalistic investigation does wear thin after awhile. There is nothing spectacular here – this is a quiet film that develops organically around the notion of an outsider, a curiously gentle film that nonetheless deals with violence and human culture in a very personal and realistic way. As such it will probably bore some viewers – it certainly takes patience, but that patience is greatly rewarded. Osman is ultimately an outsider not because of his ethnicity or his language, but because he’s in a culture governed by rules outside of his experience. He can bring light to bear on the subject, can even cast things into relief for the people who inhabit the society every day, but he will always remain somewhat outside of it, not always capable of understanding or fully embracing it, or being embraced by it. Everything comes back to that opening sequence – The Fixer is about a language that we don’t understand, an experience we don’t fully comprehend, yet, at the end, has us grinning.